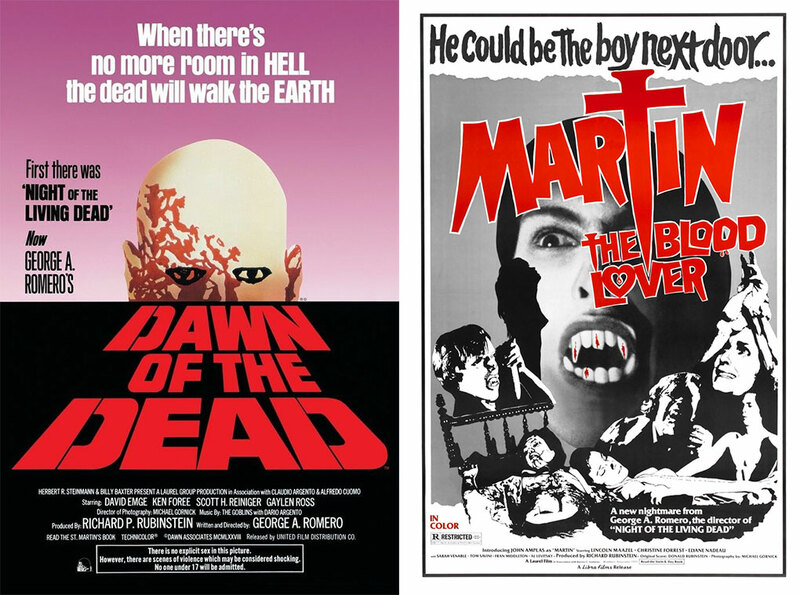 Second Sight Films today announced it has acquired the UK Home Video and VOD rights to two classic films written and directed by celebrated filmmaker George A Romero. Following a licensing deal with producer Richard P Rubinstein, CEO of New Amsterdam Entertainment, the UK distributor will be re-issuing the highly-acclaimed and much in-demand Dawn of the Dead and Martin. Dawn of the Dead and Martin are set to arrive on Blu-ray complete with a host of brand-new special features. Further details on the company’s plans will be announced in the coming weeks via Second Sight Films’ social media channels. Richard P Rubinstein, CEO of New Amsterdam Entertainment said: "I was pleased that we could reach an agreement with Second Sight in the UK for the Home reissue. Chris Holden and his team have a deep appreciation for the films as do I." Dawn of the Dead, widely acknowledged to be one of the greatest horror films of all time,arrived ten years after the seminal Night of the Living Dead. It ushered in a new era of zombie films, showing the director once again ahead of the curve mixing biting political satire with state-of-the-art-gore for a genre defining masterpiece that packs as much of a punch today as it did 40 years ago. Well, that's the press release. Speaking personally, we'll be interested to see what Second Sight put together here. Arrow's 2010 (well, 2009 if you bought it from HMV) 3-disc DVD release of Dawn of the Dead had some excellent special features, including two commentaries licenced from Anchor Bay and a feature-length documentary on the film. Martin was also released on DVD by Arrow, first in 2006 in a weak 2-disc edition that sported a very good filmmakers' commentary but a particularly weak NTSC to PAL conversion transfer and a second disc that had a miserable 12-and-a-half minutes of video extras, a minute of audio and 17 undersized stills. The film was also in the wrong aspect ratio, cropped from 1.33:1 to 16:9 to fill that widescreen TV screen. In 2010 Arrow re-released the film on DVD featuring the same commentary as before and the same damned 16:9 standards-converted transfer, but this time also included a noticeably superior 1.33:1 framed version, a featurette on Romero and, intriguingly, the Italian cut of the film titled Wampyr, which features one of Goblin's less impressive scores and is also presented in a standards-converted 16:9 crop. Where Second Sight have an instant potential advantage is that Arrow never got around to releasiung either of the films on Blu-ray, which leaves the way open for Second Sight to deliver well-featured HD versions of both films. Great, or at least it will be if they are able to source high quality restorations of both, something that Arrow deliver on a regular basis. A lot also hangs on what special features they are able to licence for both releases. There's no reason why they couldn't licence the Anchor Bay commentaries for Dawn of the Dead, but I'm not so sure about the documentary, which I think was comissioned by Arrow for its release. There are two filmmaker commentaries available for Martin, both of which feature Romero and a selection of his colleagues, the one on the Arrow DVD and an earlier one with Romero, Tom Savini and John Amplas that appeared on a now discontinued American Anchor Bay DVD, which also featured the best SD transfer of the film that I've seen. Anticipation is high. Watch this space.